Venezuelan student leader Lorent Saleh spent four years behind bars for peaceful resistance to the socialist regime of Nicolás Maduro. Released this month, he offered several interviews this week from his new home in Spain, describing in gruesome detail the wide variety of torture methods he experienced and saw in use during his imprisonment. 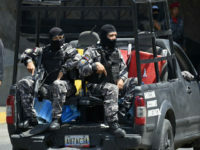 Relatives of the political dissidents trapped in Venezuela’s notorious Helicoide prison said Friday authorities have blocked them from visiting their loved ones for two weeks since Nicolás Maduro’s socialist regime released American Helicoide inmate Joshua Holt. 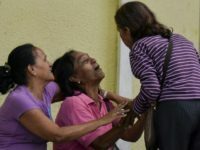 The mothers and wives of political prisoners held in Venezuela’s Helicoide, a building designed as a shopping mall that now houses dozens of the nation’s prisoners of conscience, said late Sunday they were denied visiting rights that day and have heard nothing of their loved ones since a protest forced the transfer of dozens out of the facility. 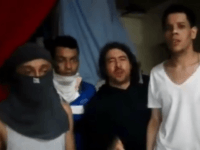 Authorities in Venezuela have transferred at least 72 people following an inmate revolt at the Helicoide prison facility in Caracas. 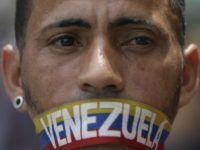 Venezuela’s Bolivarian Intelligence Service (the secret police, or Sebin) took control of the nation’s Helicoide prison overnight Friday following a protest led by political prisoners demanding medical care, freedom for minors, and an end to the routine torture that they say occurs at the facility. 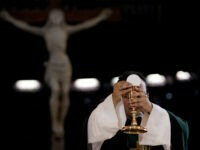 Venezuela’s Catholic Church demanded justice for the regime’s tortured political prisoners on Thursday amid reports of inmates protesting within the Heliocide prison facility in Caracas. 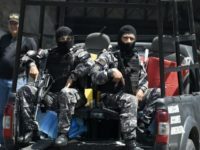 Political prisoners being held in Caracas’ Helicoide prison – once destined to be the capital’s largest shopping mall, but now home to over 50 political dissidents – began protesting against the regime and demanding their freedom Tuesday night, prompting a violent response from Venezuela’s secret police (Sebin).